The Galway Tour Guide Association was set up in 2009 by Paul O Donnell. This year we are celebrating 10 years in business. We are all professional Tour Guides, fully qualified on all aspects of Irish Tourism – (Fáilte Ireland / Irish Tourist Board Approved). Our Guides come from various backgrounds – Historians, Tutors, Writers, Tour Operators, Archaeologists etc. Most of our Guides are from Galway, but we also have several Guides from various parts of the world, who have made Galway their home. Galway City Walking Tour – We operate a daily Walking Tour of Galway which departs at 11.30am from the Galway Tourist office. We also provide walking tours of Galway at various other times to suit our clients. Tours along the Wild Atlantic Way – We offer walking and coach tours of Galway City, Connemara, the Aran Islands, Cliffs of Moher, the Burren, Cong, East Galway and all along the Wild Atlantic Way. Conference Services / Tour Management. Corporate Events – Incentives, Site inspections, Sports & Social Clubs. Shore Excursions – We organize excursions for the hundreds of visitors who arrive in Galway on the various Cruise Liners. Multilingual Guides – We have several multi-lingual guides who guide in Irish, Italian, German and French. Driver Guides – Our Driver Guides offer private tours from 1–16 people. We also provide 52 seater coaches. Some of our Driver Guides are multi-lingual. We work closely with several corporate Companies in Galway – private transfers, tailor-made tours – Shopping Tours, Sightseeing Tours, Genealogy Tours etc. The Galway Tour Guide Association provides a vital service for our tourists. With our knowledge and professional training, we ensure that all our visitors to Galway and Ireland have a memorable experience. 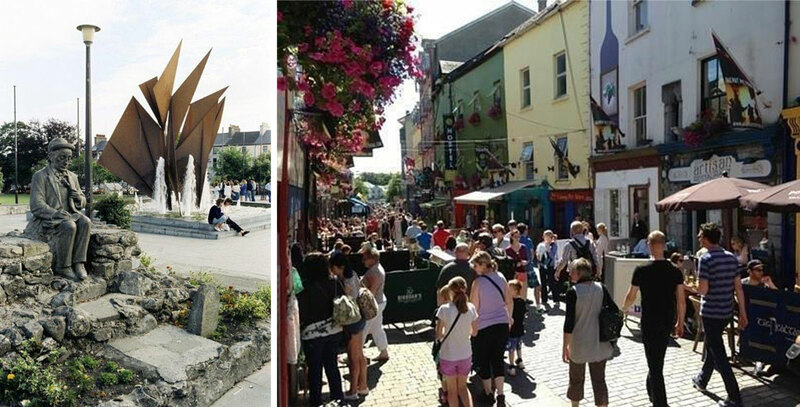 We are looking forward to a busy 2019, and with Galway being the European Capital of Culture in 2020, we expect to be extra busy and are currently putting plans in place for Galway 2020. Book with the professionals, book with the Galway Tour Guide Association. Galway Tour Guides have various Rates – such as Half Day / Full Day tours, Extended Tours, Tour Management & Incentive Group Rates. We also plan individual Itineraries for specific Groups and invite Tourism & Hospitality Providers and tourists and visitors within Ireland and those intending to visit Ireland to contact us.